Home / News / Silver Grey Film Faced Birch Plywood! Richwise Australia introducing a new color of film faced birch plywood. An astonishing silver grey easily fits your exterior ideas. Environmentally friendly, durable, easily workable, hygienic, odor free, easy-to-clean, wear-resistant, weather- and water-proof and resists commonly used chemicals. Film faced birch plywood is bonded with waterproof phenol resin adhesive and overlaid on both the faces with a phenol film or with UV resistant film (grade F/F). 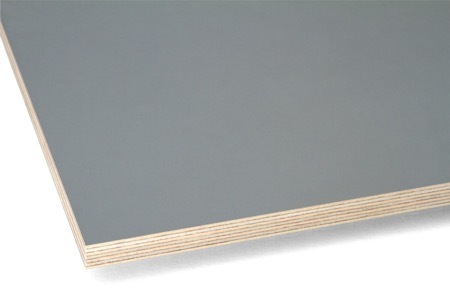 Silver grey film faced birch plywood is an architectural material commonly used for decorative applications, for furniture, sliding doors, kitchen and bathroom cabinet doors, wall panelling. This waterproof material could be used in laundry. Applicable as well for shuttering, transport industry, building and construction, flooring, inter-wall structures in farms, advertisement and information panels.